The Executive Hotel Le Soleil was inspired by luminary hotels like the Savoy in London and Le Crillon in Paris. Featuring 113 suites with separate bedroom and seating areas, the boutique hotel is only three blocks away from the Vancouver Convention Centre, Canada Place Cruise Terminal, and the Harbour Air Seaplanes terminal. For dining, their Copper Chimney Restaurant and Bar’s Indian-inspired West Coast cuisine is accompanied by live music, an open kitchen, and rich décor, including Murano glass chandeliers and floor-to-ceiling painted murals. 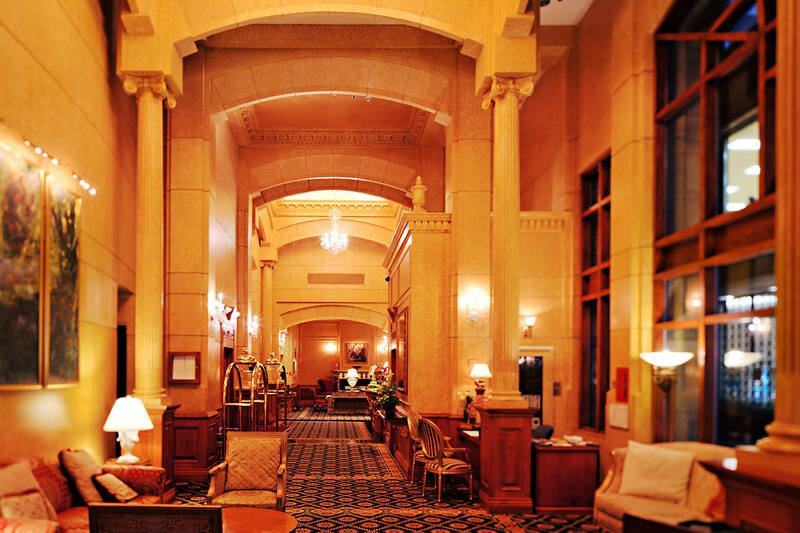 A four-diamond property (AAA) since it opened its doors in 1999, the Executive Hotel Le Soleil has been recognized as one of the top 25 luxury hotels in Canada (Trip Advisor Travellers’ Choice, 2012).